Providing a comfortable and spacious atmosphere for a relaxing cruise, the stunning Noordam offers an incredible vacation experience. As an acclaimed Holland America Vista-class ship, she features spacious staterooms, a myriad of activities and dining options, from casual to elegant, with something sure to please everyone. 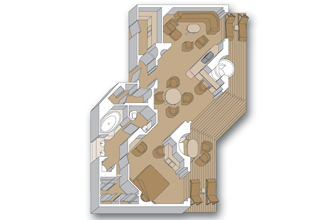 Discover the many pleasures of a mid-sized cruising experience, with personalized attention and an intimate ambiance. Showcasing the grand entrance at the stunning three-level Atrium, is a magnificent Waterford crystal chandelier. 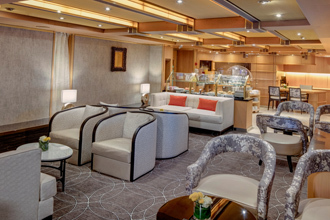 Understated elegance can be found throughout the spectacular ship, which has a classic ocean liner feel, yet with modern features. 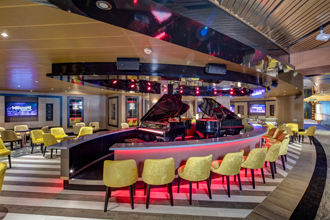 Exciting amenities on the Noordam include a wide range of fabulous restaurants, bars, nightclubs, lounges, a casino, Las Vegas-style shows, 2 swimming pools, including one with a sliding glass roof and duty-free shopping arcade. Foodies will flock to the Culinary Arts Center, presented by Food & Wine Magazine, with a state-of-the-art kitchen, special gourmet presentations, cooking classes and wine tastings. Additionally, there is a lovely Art Gallery and Internet Center. Featuring a wide selection of stunning large staterooms, many with private verandahs and some connecting, there is something to suit everyone. There is also a basketball and volley ball court. Enjoy complimentary popcorn at the Movie Theatre or choose from over 1,000 DVD titles for stateroom delivery and viewing. 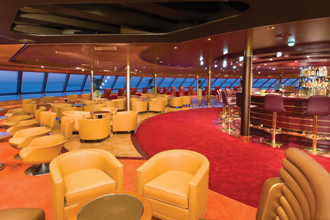 Chic specialty bars and lounges, including the signature Crow's Nest, boasting spectacular views, offer the perfect spot for a drink and conversation. Sharpen your computer skills at the complimentary Digital Workshop, powered by Windows®. Active cruisers will head to the sports deck for basketball and volleyball. Kids will love the fun activities at Club HAL and teens will head to an area just for them, The Loft and The Oasis. Take a self-guided iPod of the multi-million-dollar art collection that includes paintings, plus photographs of music greats and a rare 17th-century carved wooden chest inlaid with precious stones. Indulge at the serene Greenhouse Spa & Salon, with fantastic beauty and wellness treatments, sure to leave you rejuvenated. 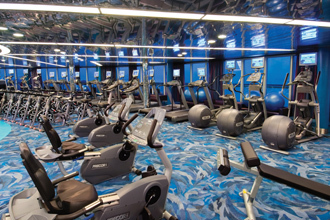 Take a yoga class at the state-of-the-art Fitness Center and keep up with your workouts and stroll or jog on the wraparound Promenade deck, which circles the ship. 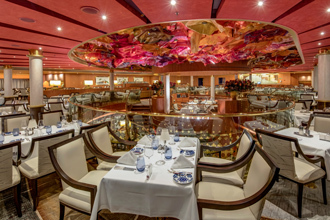 A myriad of fabulous dining options, from casual outdoor eateries to elegant choices, are featured on the Noordam. 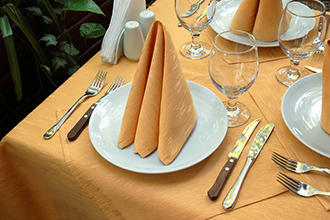 Savor delicious cuisine at the beautiful two-tiered Vista Dining Room, including vegetarian and vegan selections from an exclusive menu. Elegance awaits and magnificent cuisine at the elegant Pinnacle Grill, with luxurious appointments, including Bvlgari china, Frette linens and Riedel stemware. 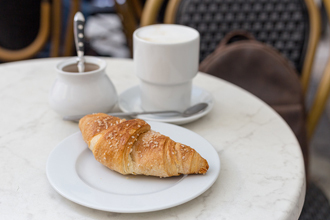 Delicious regional Italian dishes are featured at the family-style Canaletto and a variety of made-to-order choices are offered at The Lido Restaurant, a casual eatery. Convenient complimentary room service is available 24/7. Choose from a variety of spacious and comfortable staterooms, from large interior and ocean-view, to luxurious Penthouse Suites. 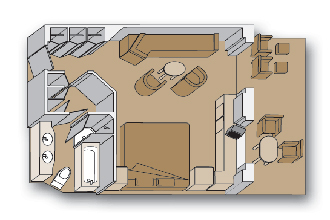 Families will love the connecting staterooms and there is also an all-suite concierge deck with the private Neptune Lounge for the exclusive use of Deluxe Verandah Suite and Penthouse Verandah Suite guests. 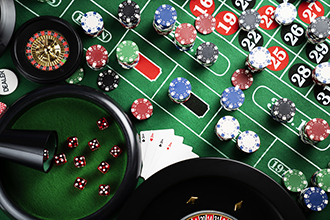 Exciting entertainment includes Las-Vegas style performances at the Vista Show Lounge, sing-alongs at the fun Piano Bar, dancing late into the night at Northern Lights and try your luck at the fully-equipped Casino. It all awaits on the incredible Noordam. Cruise to exciting worldwide destinations on the Noordam, including the Eastern Caribbean, Western Caribbean, Southern Caribbean, World & Exotic, Transatlantic & Repositioning, Mediterranean – West and Mediterranean – East. 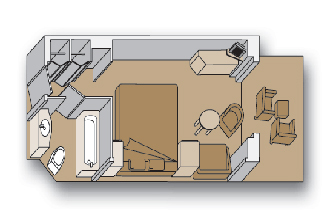 Oversize whirlpool bath & shower & additional shower stall, living room, dining room, dressing room, private verandah with whirlpool, pantry, 1 sofa bed for 2 persons, microwave, refrigerator, guest toilet, private stereo system. 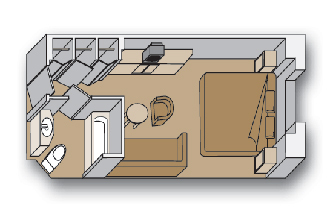 Bathroom with dual sink vanity, full-size whirlpool bath, shower and additional shower stall, large sitting area, dressing room, private verandah, 1 sofa bed for 2 persons. 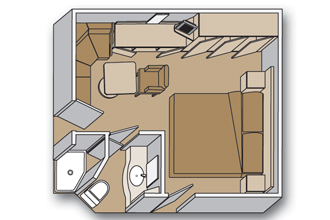 Bathroom with dual sink vanity, full-size whirlpool bath, shower and additional shower stall, large sitting area, private verandah, 1 sofa bed for 1 person. 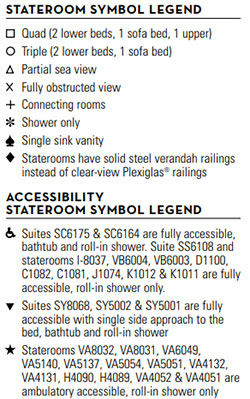 Bathtub, shower, sitting area, private verandah. 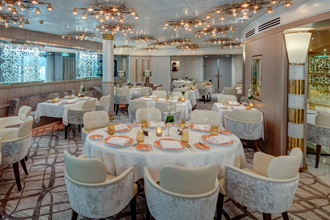 The Vista Dining Room is a two-tiered dining venue that provides one of the finest dining experiences at sea, offering everything from continental cuisine to vegetarian and low-carb options. Five-course menus, created daily and seldom repeated, are enhanced by impeccable service and an extensive wine list. You can also enjoy a special Royal Dutch High Tea once per cruise. 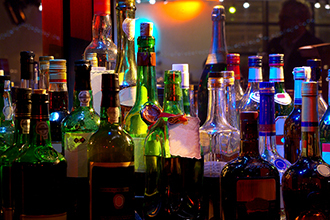 Get your groove on and hit the dance floor at this fabulous night spot. Great music, dynamic lighting and friendly bartenders make the Northern Lights Disco a great place to have fun with old and new friends. Passengers can dip their toes or swim a lap or two in the luxurious Hydro Pool. 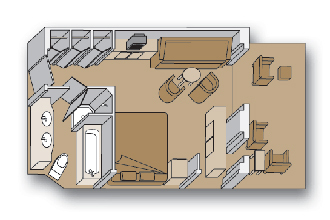 And for teens 13 to 17 there is The Loft, a lounge environment with music, internet access stations and video games. The Greenhouse Spa & Salon - your spa at sea - featuring thermal suites and a magnificent hydrotherapy pool. Art lovers will enjoy guided tours of the ships' multi-million dollar collections of art and antiques. In addition, Parkwest Galleries manages onboard auctions where guests may purchase works of art and arrange for in-home delivery. Club HAL, a special program for guests ages 5 to 12, features supervised fun in colorful playrooms with art tables, games and big screen televisions. Who can resist a piano man tickling the ivories with show tunes, ballads, and popular hits? 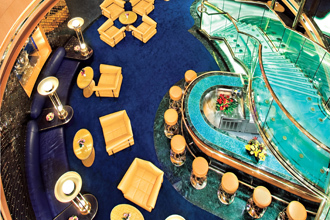 Spend a special evening with your friends and shipmates in the classic Piano Bar. The perfect venue for a special treat, celebration or gathering, the sumptuous Pinnacle Bar offers an experience on parallel with the Pinnacle Grill. Beautifully appointed and offering the finest wines, liquors and ocean views, the Pinnacle Bar is the ideal place to start a very special evening. Just because you're cruising doesn’t mean you have to give up following your favorite teams. Grab a beer or your favorite drink and catch the latest sports action on ESPN International via satellite (where available). 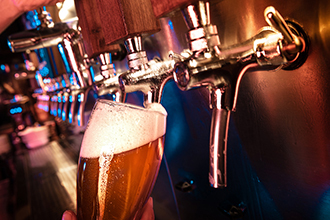 Meet up with friends for the big game or just stop by to catch the stats, either way the comfortable Sports Bar is always ready to serve up what you’re looking for.